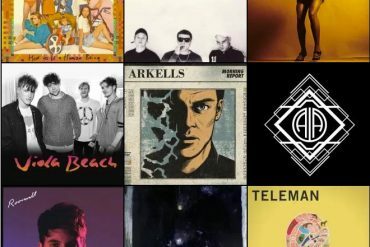 Following the tragic passing of Viola Beach and their manager Craig Tarry, a campaign is being driven by friends and family to propel the Warrington band’s debut single Swings and Waterslides up the charts with the intent of sharing the band’s music with a wider audience of future fans. The track is currently sitting at number 4 in the UK iTunes charts. Their label, Communion Records, has also issued a statement saying that all single proceeds of their recent single Boys That Sing will go to their families. The 7″ has already sold out but the single is of course available from digital retailers. 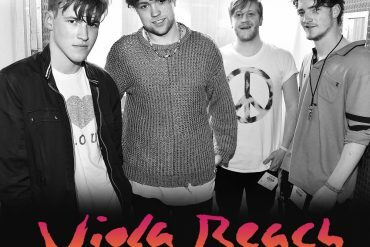 Ever since the news about their tragic and untimely death spread, Viola Beach have been covered by international media. While their fatal accident must be devastating for their friends and families, the media have proclaimed them “the next big thing” posthumously. It is fair to say, that none of those magazines would have picked up on the band any time soon were it not for their fatal accident. I haven’t had the chance to meet the boys who were set to open for Blossoms on their current UK tour, and still their deaths have shocked me. Yet it also saddens me that in order get noticed on a large scale, a band either needs to get extremely lucky and find the right label to back them or pass away before their prime. While the story of Viola Beach is tragic beyond words, this is a chance not just to buy their music and give them the attention their deserve but also to pay more attention to the large number of other young bands out there trying to make it. Go out there, buy their music, go to their shows, support your local scene.